A useful collection of downright current sounds. The sounds are characteristically dark, dirty, and correspond authentically with what's going on in the UK scene right now. 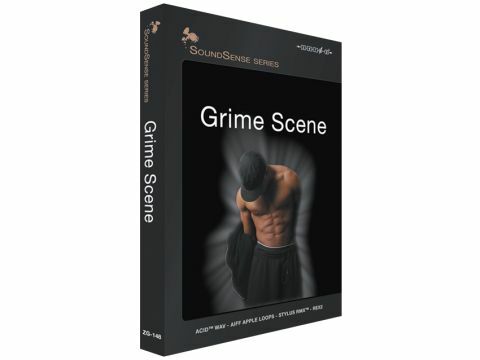 As well as the set construction kits, Grime Scene provides plenty of tough beats, violent drum hits, sinister atmospheres, raw stabs, creepy FX, and the heaviest possible bass. There are elements of ragga, dubstep, garage, and even house here. All samples range from about 125 to 140bpm and are split into all the usual the categories.